M.c. DeLandes Monuments & Memorials Inc. The Client: M.c. 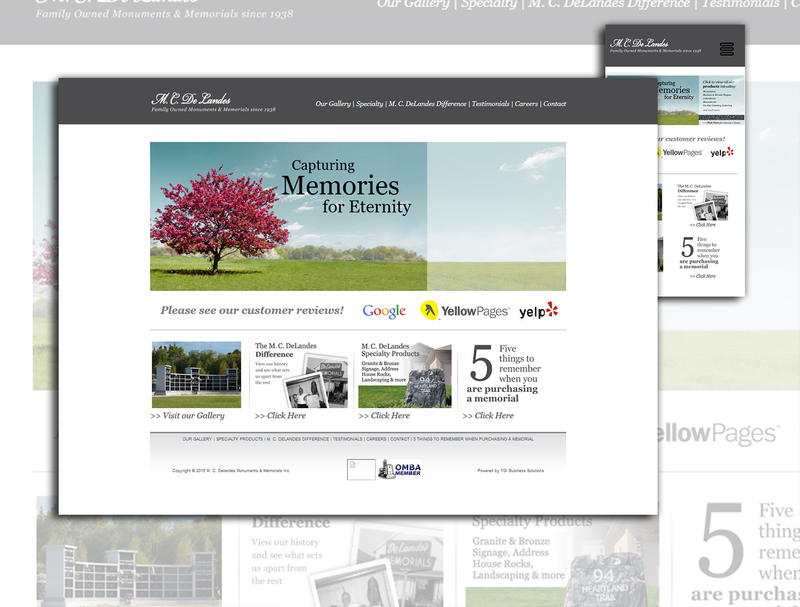 DeLandes Monuments & Memorials Inc. The Challenge:The client required a marketing strategy to move to the top of Google Rankings. The client’s website was modified and the company began using Bison’s Google Review strategy along with Bison SEO. Today Mc deLandes sits on top of page one and enjoys unparalleled success.